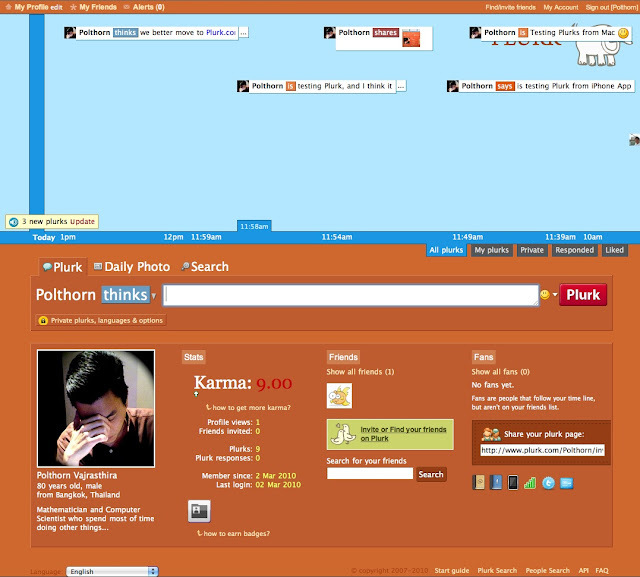 Plurk? What is it? This is quite new to me too. It is another kind of Social Networking, but seems to be quite fun, and very efficient, where I could post from Plurk to Twitter, and Facebook with simple integration.